Tina Mullins - Member "At Large"
A lifelong resident of the Northern Virginia/DC Metro area, Mrs. Mullins moved to Prince William County in 2002. She worked as an audiologist at St. Elizabeth’s Hospital in DC for 27 years. After retiring from that position in 2002, she began a new career as a social worker, working as Director of Social Services for local nursing homes and then as a Renal Social Worker at local Dialysis Centers. Even though Tina retired in 2015, she continues to provide social work services as needed for the Dialysis company. Mrs. Mullins has had an interest in theater since she was a child. 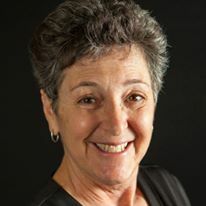 She returned to acting after a long hiatus when she moved to Prince William County, and since then she has participated in several shows with a variety of local community theater companies. In addition to performing, she enjoys contributing her social work skills of negotiating and problem solving, and her personal theater knowledge to help PWLT to reach its goals and maximize its potential. Mrs. Mullins resides in the Heritage Hunt Community, where she is an active member of the Heritage Hunt Woman's Club, Heritage Hunt Little Theater, and Heritage Hunt Woman of Note. She also sings with the Manassas Chorale.